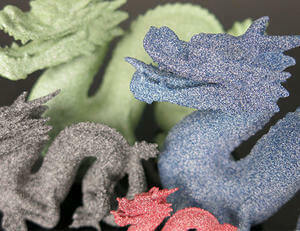 SLM (Selective Laser Melting) is in an additive manufacturing method specially developed for 3D Printing metal alloys. It creates parts additively by fusing metal powder particles together in a full melting process. Like in the SLS process, your metal part will be created layer by layer, according to your 3D model. Unlike DMLS, SLM fully melts the powder, and therefore it needs to reach a higher temperature than this other metal 3D printing technique. The build chamber is filled with an inert gas (either argon or nitrogen at oxygen levels below 500 parts per million) in order to create the perfect conditions for melting. The full melting process allows the metal to form a homogeneous block with good resistance. It fits perfectly for pure metals like titanium or aluminum. Because we need the higher temperature to fully melt the material, the cooling time will be longer than for DMLS. The steps of the SLM process are the same as other laser-based additive technologies: first of all a roller will apply a layer of metal powder, then the laser will sinter the powder according to the 3D file, and the build platform will get down before applying a new layer of powder... The process will be repeated until the desired part is created. Once it's finished, the metal part needs to cool down before being extracted. Selective Laser Melting process uses supports in order to reinforce small angles and hangovers of the parts but also to stick the design to the job tray. The support will be removed manually after cooling. 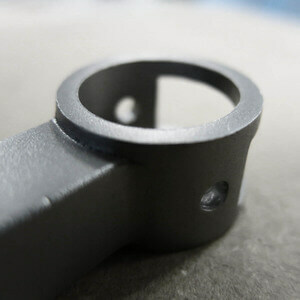 Various finishing techniques such as milling, thermal treatment or touring are commonly used after the print in order to achieve the functionnal requirements of the part. The SLM process is highly beneficial for those who need to produce their metal parts for prototyping or production quickly. It also allows to create complicated and highly detailed designs that wouldn't be possible with any other technology, due to the limitations of the traditional manufacturing processes. For example, SLM enables to integrate multiple components (like fasteners or mountings) into a single object, thus reducing the costs and delays of assembly. With SLM, it's also possible to get thin-walled objects and intricate geometries in order to create lightweight designs. 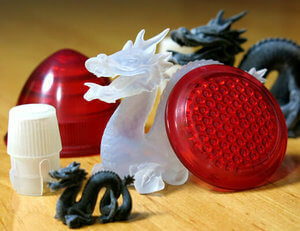 Customization and speeding time-to-market are also great benefits from the Selective Laser Melting technology. Thanks to our online SLM service, you can have access to professionnal SLM 3D printers to produce your part, distantly, and without needing to worry about operating the machines. You'll get your 3D printed metal parts, fully functional and ready to be used or integrated into a larger object, within a few days. SLM as other metal 3D printing technologies is appropriate for manufacturing small batches. In this case, our metal 3D printing team will do a complete study of your project and your requirements. Your only concern will be to create the best design for what you want to do. Metal additive manufacturing techniques like SLM and DMLS are particularly useful to create unique metal parts, that are fully functional, quickly available, and couldn't be manufactured with another technology. Aluminum and metal alloys used in SLM can resist to high gas pressure and heat which leads also to many applications in the mechanical engineering and chemical engineering fields. Weight savings, higher performance, cost reduction or better handling are common goals achieved thanks to SLM technology. The aerospace and aerospatial industries are among its first beneficiaries. SLM parts are used for tooling, fixtures, motor parts such as rotors and impellers, cooling channels, etc... Automative, research, dental and medical engineering are also frequent users of SLM technology. By granting access to new ways of manufacturing with metal, SLM fosters innovation in those fields, as it might do in your field of application! For a full case study about how 3D printing in general and metal 3D printing in particular are revolutionizing the aerospace and aeronautic fields, read our blog article "3D Printing takes off with aeronautics & aerospace". Metal 3D printing is beginning to make inroads into manufacturing. 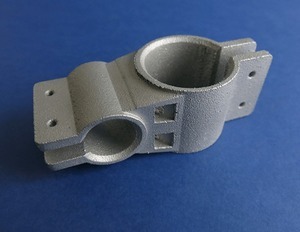 However, creating metal parts in additive manufacturing is diffcult and has several specific constraints, in particular thermic and structural ones. Some software exist to solve these problems but they are expensive and take quite some time to run, making them unavailable to most companies. Because of this, metal 3D printing projects often lack expertise, and require to go back and forth with several iterations before getting the part right, which is costly and time-consuming. That's why Sculpteo has create a suite of tools, Agile Metal Technology, that helps designers and manufacturers analyze and evaluate metal Additive Manufacturing (AM) projects. Sculpteo provides you the best online 3D Printing Services for yout metals parts. Thanks to our expertise you can choose between several metals and finishes and we will give you a quote instantly. If your project is very complicated and/or if you need specifics finishes please contact our sales team which will try to find a solution with you. SLM as other metal 3D printing technologies is appropriate for manufacturing small batches. In this case, our metal 3D printing team will do a complete study of your project and your requirements. Our Aluminum 3D printed in SLM creates objects from an aluminum powder selectively melted by a laser layer by layer. Aluminum has an excellent weight/strength ratio and allows complex shapes with a slightly rough surface. Aluminum is particularly adapted to mechanical parts that need a very light weight.